Ordinarily, I would serve my mother a vat of mayonnaise with a side of some of type of food. But for whatever reason that day I wasn’t feeling it. Who knows, I had probably eaten a bowl of leftover peanut noodles for breakfast and then decided I was craving eggs for lunch. Another side effect of working from home is having the most bizarre eating habits ever, and often times eating lunch-like things for breakfast – something I learned from my mother as I watched her inhale many a turkey burger (yes, with a pile of mayo) before 9am. If there’s anything that pleases my mother as much as mayo, it’s a runny egg yolk. (You may be sensing a pattern). She’s always putting fried eggs on things, especially if the meal is vegetarian. 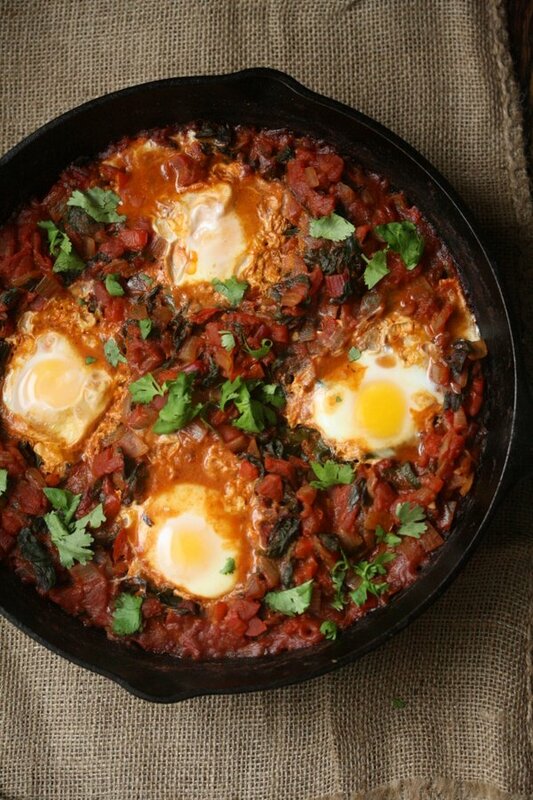 She’s also been known to finish off a stew or tagine with a few eggs gently poaching on the surface of the pot. 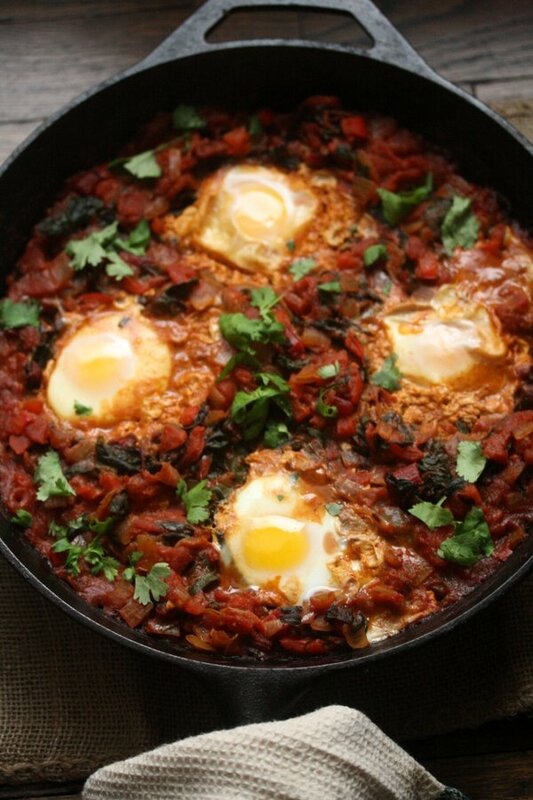 And it was my memory of the latter that sent me down the menu planning rabbit hole of shakshouka. 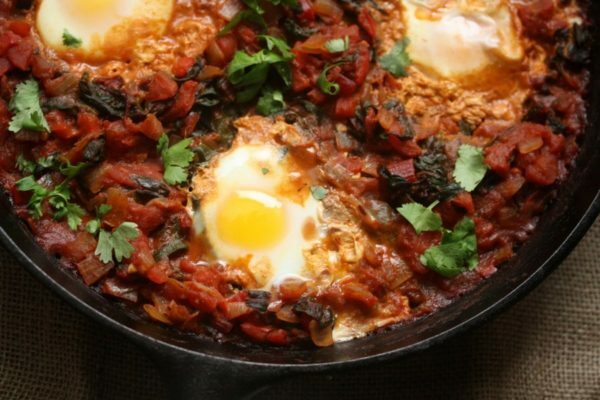 Shakshouka is a Middle Eastern version of eggs in purgatory – meaning, eggs baked in a spicy tomato sauce. I’ve done this on occasion before, but it wasn’t until flipping through my copy of Jerusalem that I noticed the Israeli version is actually made with red peppers and harissa in addition to tomatoes. My mom doesn’t tolerate spicy food, but somehow because of her time in Morocco, I’ve noticed she has no problem when the spicy condiment at play is harissa. To make the dish even healthier, I added a heaping bunch of sautéed red chard to the tomato mixture, which melted away to the point where she didn’t even notice it right away. The yolks may have been a little less runny that her ideal, partly because I popped the pan into the oven to finish cooking them. But upon first taste, my mother said the dish was just like something her cook in Morocco used to make. Not only did that indicate success at the time, but it makes the recipe even more appropriate to share today, her birthday! 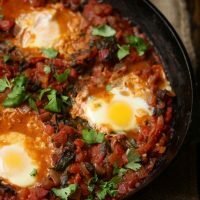 Regardless of whether you’ve ever been to Morocco or had a cook named Fatima, Shakshouka is a great way of making eggs for a small group of friends. You can have the sauce ready the day before, and then simply reheat and poach the eggs in it once your guests arrive. Serve it alongside these potatoes and you’ll be in great shape New Year’s Day, a much more culturally appropriate weekday to eat eggs at 2pm. Wishing you all a healthy, happy, and hangover-free start to the year. See you in 2014! And don’t forget to enter the hangover toaster giveaway. Add another tablespoon of oil to the skillet. Saute the onion and peppers over medium-high heat until soft, about 8 minutes. Stir in the garlic, cumin, and harissa, if using. Cook until fragrant, 2 minutes. Carefully pour in the tomatoes. Bring to a simmer over high heat. Cook until the tomatoes have begun releasing their liquid, 5 minutes. 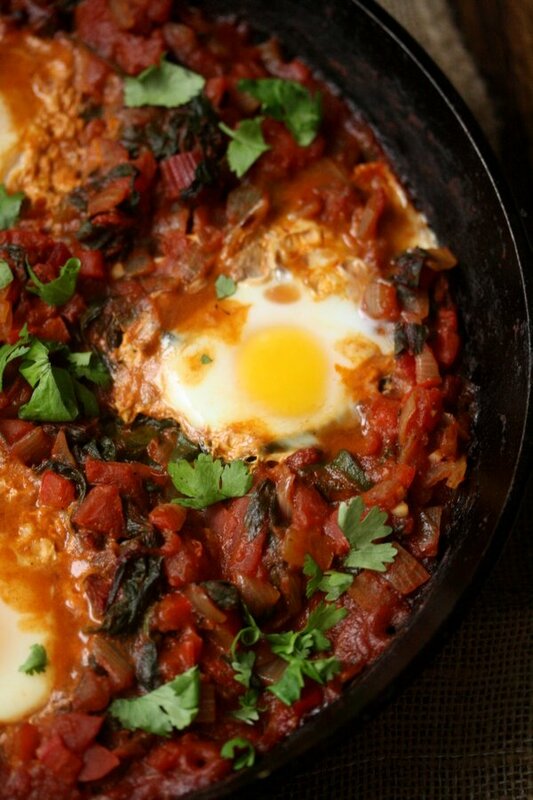 Using a fork or masher, crush the tomatoes to break up the larger chunks and create a saucy consistency. Reduce the heat to medium-low and simmer, stirring occasionally, until the sauce has thickened and the tomatoes have lost their acidity, about 20 - 30 minutes. 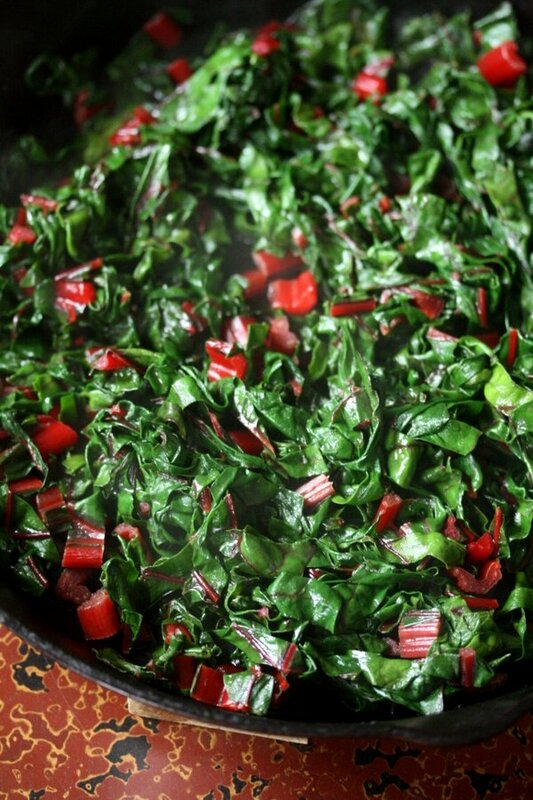 Stir in the chard and simmer 5 minutes more. Create 4 large wells in the sauce. One at a time, crack the eggs into the wells. Simmer until the egg whites are set but the yolks are still runny, about 10 minutes. Garnish with the cilantro leaves and serve straight from the skillet alongside Sumac Roasted Potatoes. I’m making this tomorrow. My mother isn’t invited because I will have eaten the whole thing by the time she arrives. Yum! 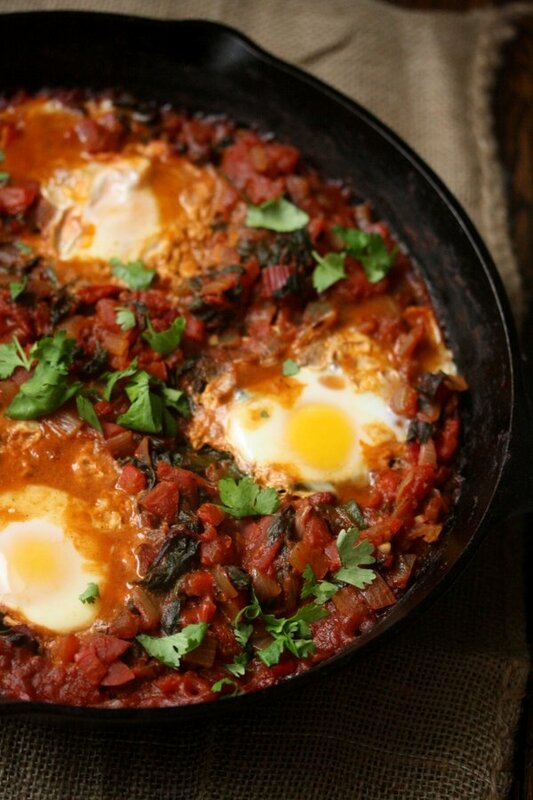 There’s an Israeli restaurant in my hometown that makes an amazing shakshouka. 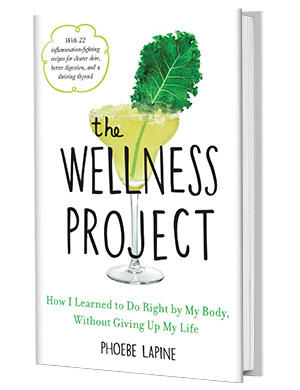 I often find myself wanting to make it- it seems so simple, but I had no idea where to start. This is perfect! it’s so easy! 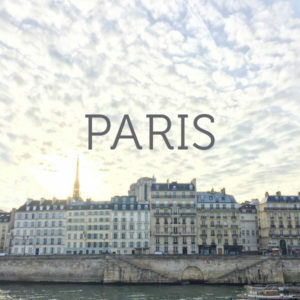 you should definitely give it a try 🙂 Enjoy! Love the colors! 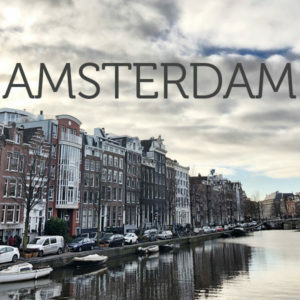 Well done, and thanks for sharing! Thanks for stopping by Jane! Hope you enjoy the Shakshouka! I realize that this was first posted several years ago, but I’m just beginning my journey and am so thankful to have found your information. So much more helpful than the food list my GI doc gave me! 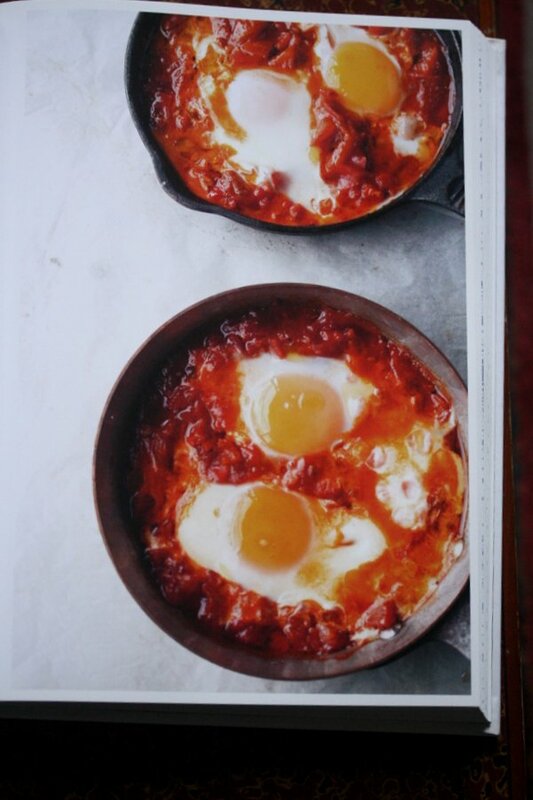 I love shakshouka and I love that gorgeous cookbook. Putting this on my menu planner for this week.